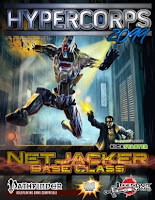 Hypercorps 2099: Netjacker Base Class by Mike Myler and Legendary Games is now available for free download. I did graphic design and layout elements for this book. 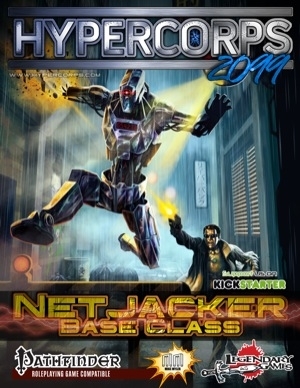 Netjackers are the elite hackers of Hypercorps 2099—adept at traversing the digital byways of the Hypernet, shredding air real time on a hoverboard, or taking on gigs against hypercorporations with nothing but their wits and a handful of drones! everything you need to build your master of the digital world for a game in Hypercorps 2099! This book is available for download via DriveThruRPG, RPGNow, and Paizo.